5 tips to maximize your protein intake this holiday season for optimal muscle-building results. It’s that time of the year again where the food is plentiful and the booze is flowing. No doubt, it’s all very tempting to indulge in these holiday delights, but a few wrong choices can quickly put a halt to all the lean muscle gains you’ve made throughout the year. Knowing how to navigate around the season’s dietary hazards while ensuring you get your protein fix is no easy feat, but it can be done with some smart strategizing. Here are five holiday tips to ensure you get the protein you need to maintain your muscular physique during this tempting time of the year. An hour before hitting that big holiday party, drink a delicious protein shake. Not only will you get a healthy dose of muscle-building protein, you’ll also be filling yourself up, leaving little room for those fat-laden meat and cheese platters. 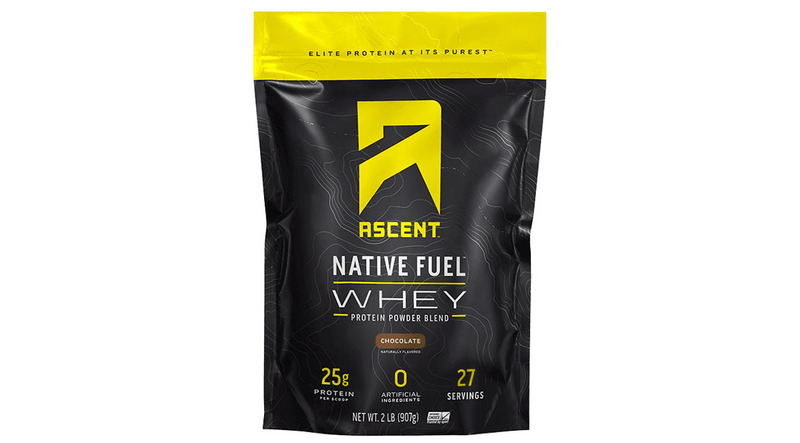 Ascent Protein Native Fuel Whey has 25 grams of protein and is ultra clean so you can feel satisfied without the bloat. Contrary to popular belief, some veggies offer plenty of protein. Those that top the list include broccoli raab, artichokes, lentils, kale, lima beans, and peas. So look for holiday dishes that contain any of these items. In addition, vegetables contain hardly any caloric value, which make them ideal to fill up on. They'll also suppress your sweet tooth and provide you with plenty of healthy fiber. Skinless turkey breast, fat-free cheese and protein powders will help you get your fill of muscle-building calories without wrecking your progress in the gym. It also allows you to make room for higher fat desserts and meats. Chances are there's not going to be a whole lot of healthy, protein-packed foods to choose from at your next holiday party. To play it safe, you can always prepare a dish that satisfies your nutritional requirements and bring it along to share with others. This way you know there will be at least one high-protein option that you can feel good about eating. Consider bringing protein powder-based dessert to share with family and friends too. Try to eat quality protein foods every three hours. This will prevent you from overeating in one sitting and letting cravings take hold. A few slices of lean chicken or turkey meat or a protein shake offer some excellent options for getting a quick protein fix. 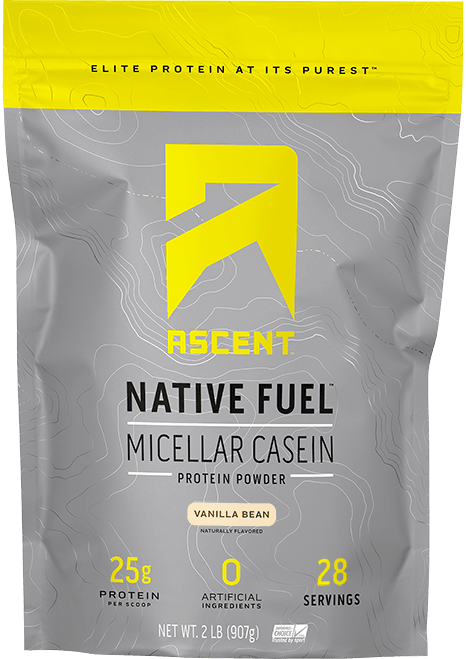 Consider Ascent Native Fuel Micellar Casein between meals and as your go-to snack before bed. The slow and sustained release of amino acids will help keep you satiated for longer periods of time.